Ease the Morning Rush with These Fast, Adorable Hairstyles! These days, thanks to the rise of technology and other conveniences, it seems as if life moves faster than we can keep up with. Take your usual work day, for instance. 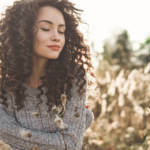 From the time you get out of bed, you’re likely scurrying around, trying to arrange your hair, makeup and clothing as quickly and neatly as possible and maybe setting aside time for breakfast. What if we told you we could help make your mornings a little easier? 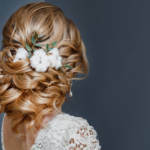 In this blog, you’ll find tips on easy hairstyles that will help you get out the door sooner while still looking cute and work-ready! Quality hair care makes styling much easier. This look is great for those with long hair! To create it yourself, all you have to do is comb your hair out that morning and part it down the middle. Afterward, you can start from the sides and front of your hair and pull it into a thick, piled shape in the back. Simply add in a few pins and you’re done and ready to go! If your hair isn’t quite long enough for this style, you can use shiny hair extensions to give yourself enough length. Once you try this classic and graceful style, you’ll realize it fits far more environments than the stage! Start off by gathering your hair into a ponytail. Use a brush to do this to make it as smooth as possible and really flatten your edges. You want this hairstyle to look sleek. Once your ponytail is secured, gather it up and part it into two sections, as if you’re trying to tie a knot. With a bit of tugging and adjusting, you’ll soon have a gorgeous, thick bun to wear to work, school or anywhere else! Be sure to use pins to secure your bun, and if you can’t quite get it as smooth as you’d like, consider investing in hair products for remy hair to help. With a little know-how, you can even spice up your regular loose hair! 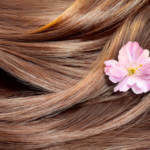 All it takes is one small section of hair, which you can pluck from the side of your head. Once you’ve found the perfect section, give it a twist, preferably toward the back of your head. This loose twist won’t stay put by itself so you’ll have to slip in a pin or barrette to hold it in place. The good news is this is a great opportunity to get creative! Create a cute pattern with your pins or use an ornate hair clip. This is the perfect chance to show off those gorgeous accessories you don’t wear often enough! We hope these suggestions will serve as the perfect inspiration for styling your hair in the mornings. We at RemySoft aspire to be the number one source for quality hair care, no matter the circumstances. Contact us to learn how else we can help you! Here Are Five Style Suggestions for Guys with Long, Healthy Manes!